STOP Type 2 Diabetes NOW! According to the Diabetes Association more than 3 million Canadians have Type 2 Diabetes and it is growing rapidly, but there is a solution, by taking Alive Cinnamon Extract 20:1! Sprinkling Cinnamon on your cereal won’t cut it, you need cinnamon in a concentrated form. A recent study headed by the U.S. Department of Agriculture (USDA) has identified a link between cinnamon intake and reduced risk of diabetes AND heart disease. According to the research, cinnamon extract, which is high in antioxidants, helps to decrease glucose levels in the blood as well as reduce oxidative stress in the body. We have had 100’s of customers who were pre-diabetic shock their health care provider with Alive Cinnamon Extract as their insulin resistance was corrected! Remember, high blood sugar is SERIOUS. If you don’t pay attention over time high blood glucose levels can damage your eyes, kidneys, nerves and heart. HOW? Your cells, which is what your organs are made of are being starved! 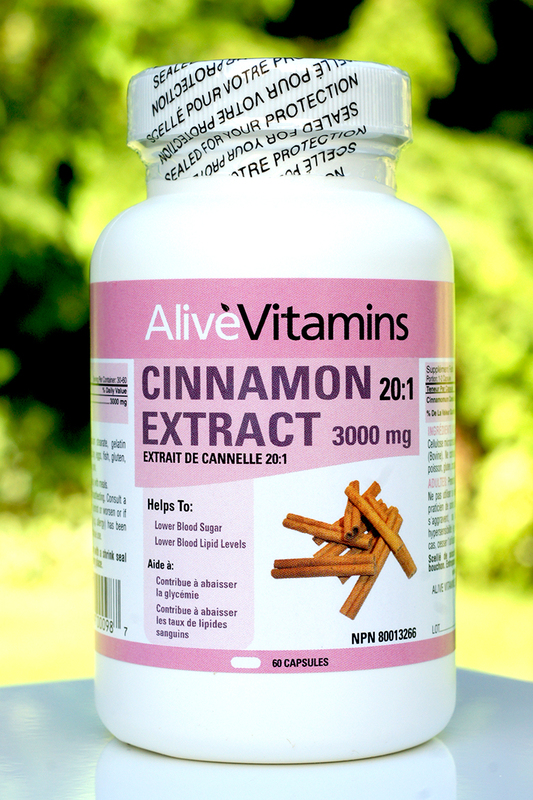 Beat Type 2 diabetes, this disease is in your control with Alive Cinnamon 20:1 Extract, it WORKS! NPN80013266.